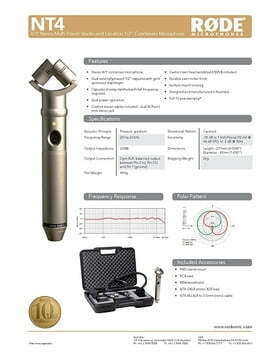 Noise ratio: : 16 dB SPL (A-weighted per IEC268-15). 46 clientes deram a este produto a classificação de 5-estrela. Sobre, 46 não foram escritas críticas ou foi deixado o feedback noutra lingua. Why did i pick it? 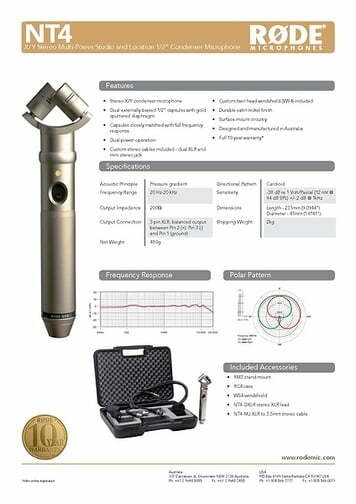 I was looking for a stereo mic, ready and quick to use, something to place and go, for both studio and field recording, with a good sound. 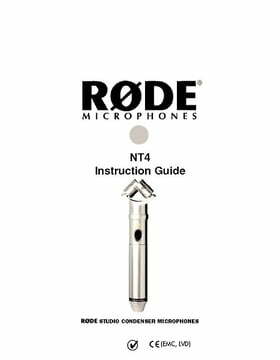 The other option was the AT BP4025 but to me it doesn't sound as good as the NT4, this is the main reason why i purchased the Rode. To me it sounds very balanced and natural, not too boomy and not too bright, some people prefer brighter mics (not my case, they easily become harsh unless very good ones). Stereo image is not too wide and this brings a good mono-compatibility which is good for studio applications and 16db of self noise are tolerable. It is well made, all metal, just pay some attention to the capsules: they may be a bit delicate, i won't let it fall. 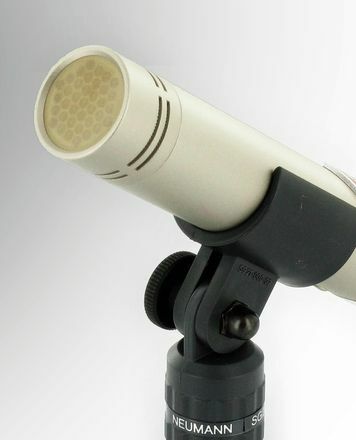 Alternatives: there are not so many stereo mics out there, otherwise a stereo pair (separates) could be a good choice, more flexible, more options and cheaper (be aware that NT5s are identical but they cost less), this works if time is not a problem and you're not as lazy as i am. Sound quality is overal good. Having fixed capsule correlation at 90 degree is great thing for phase, but sometimes it can be limiting. As drum overhead, it's super easy to position, but you get stucked with fixed stereo image. MS procesing can help litle in widening stereo image, but don't expect wonders here. Sounds great on acoustic guitar, easy to find sweetspot, nice stereo efect without thinking about phase issues. Used it on Backround vocals. 4 singers around a mic, 3feet away. Sounded nice, with no too much room.  ID: 154594 © 1996–2019 Thomann GmbH Thomann loves you, because you rock!